Pellon’s Luxury Terry Top Mattress Protector is a fitted sheet style mattress topper with a luxurious terry top. 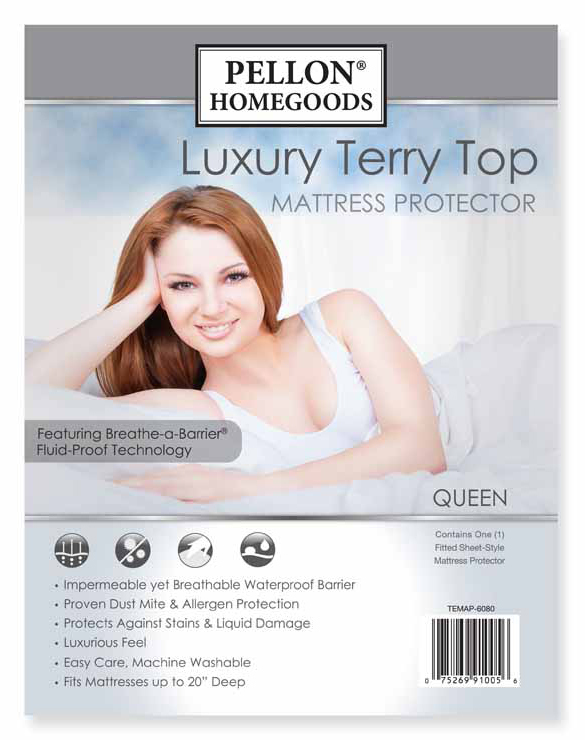 It features Breathe-a-Barrier® Fluid-Proof Technology which offers an impermeable yet breathable waterproof barrier. It offers dust mite and allergen protection. 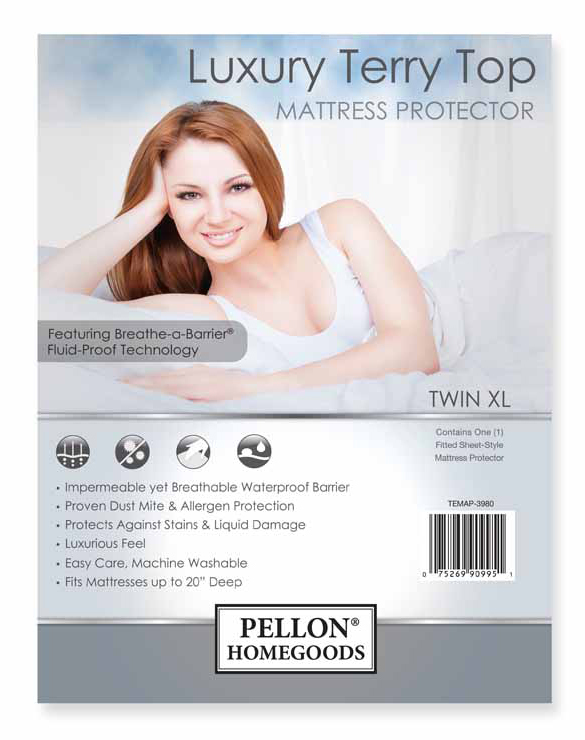 This mattress protector is designed to fit mattresses up to 20″ deep.